The tattoo removal process is performed to remove an unwanted tattoo from your body parts. This is the treatment which can be performed with the help of surgical processes such as laser surgery and dermabrasion. This is a totally secure and safe procedure which is useful to remove tattoo permanently. You may experience a scar if you have a preexisting scar after the laser tattoo removal. This is the procedure which is totally safe and secure and does not have any side effect. This procedure is done with careful consideration that’s why this is the procedure which does not leave any scar on your body of the tattoo. Is Laser Tattoo Removal Treatment Painful? This process is not a painful treatment because your surgeon gives you cream in order to treat your treated area carefully. In this way, you are able to get relief from your discomfort. In addition, you must consult your doctor prior to the surgery in order to get detailed information about this treatment. ﻿How Much Time It Will Take To Remove The Tattoo? There is a number of factors that will tell the time which can be taken by this procedure with the goal to remove the tattoo. 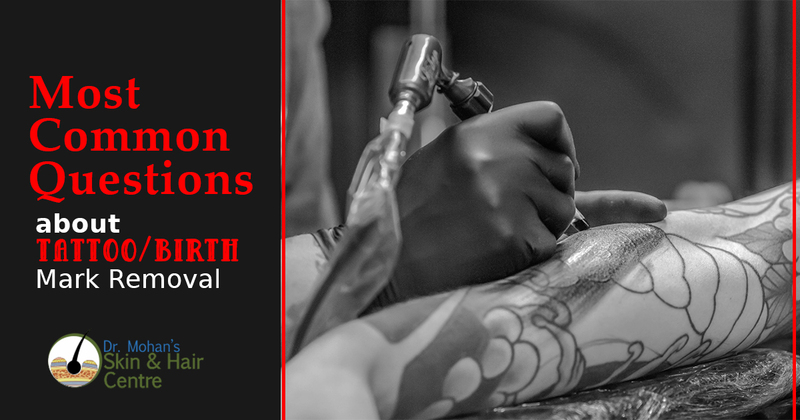 The factors which affect your procedure time such as previous tattoo scar or tattoo, ink which was used in making the previous tattoo, and your health condition. The most imperative factor is the previous tattoo and ink which is used previously. Moreover, in this treatment, your surgeon first breaks your previous tattoo into parts and several particles. This is the treatment which takes 5-6 sessions in order to remove your tattoo. Is There Any Side Effect Of This Tattoo Removal Process? You may experience redness and swelling, and inflammation after this process. This is the process which does not have any side effect because it is a totally safe procedure. You can simply visit the tattoo removal specialist in order to know about the removal treatment. Moreover, birthmark removal treatment also does not have any side effect because this process is totally similar. What is the exact cost of the tattoo removal process? The cost of this treatment tattoo removal depends on factors such as your tattoo shape, style, and size. So, in this way, you must converse with your doctor first about the cost. And then you should go for this laser tattoo removal process.